Why Choose Us As Your Upholstery Cleaning Company? Homeowners and apartment dwellers in Singapore likely want to keep their interior as clean and neat looking as possible. A nice interior presents a very inviting environment to those who visit. A thorough cleaning job can go a long way in terms of making a positive impression. Homes are not the only properties that would benefit from a nice looking interior. Singapore has a very large and thriving business community. In order to impress clients and partners, an office has to have clean and spotless carpets, windows, and, yes, upholstery. Some might overlook taking the steps for having a good sofa cleaning job done and this is unfortunate. In addition to carpet cleaning, cleaning the furniture contributes greatly to improving overall looks and appearances. Often, a through professional cleaning job on the upholstery is exactly what is needed to really enhance a home or office. As with rug cleaning duties, some will try to clean their sofa, chairs, and other upholstered furniture on their own. While the enthusiasm is to be commended, this might not be the best way to go about things. Store bought cleaners might not be strong enough to restore the pristine, original look of the furniture. Worse yet, the cleaning agents might be inappropriate for the task and can actually damage the furniture. Someone who might not know how to properly clean a sofa could end up being a little too harsh when scrubbing it. As a result, the furniture can end up damaged to the point it really has no value. Calling on professional cleaning services in Singapore can certainly contribute to getting your sofa and other furniture looking as good as new. There are quite a few reasons why it is best to call in reliable professional cleaners to get the job done. Once you take all these reasons into consideration, you just might place a call to a cleaning service immediately. * A professional cleaning will be performed with the necessary equipment and detergents. Industrial level steam cleaners, vacuums, stain removers, and cleaning solutions will all be used during any requested cleaning job. This includes furniture, carpet, rug, and mattress cleaning duties. Skilled professionals know exactly what they are doing, which is why they are capable of performing such a good job. The equipment and cleaning agents the cleaners use are professional grade and this further enhances the ability to deliver desirable results. * Serious stains can be removed from the sofa and upholstery. No matter how careful you might try to be, accidents happen. Sometimes, those accidents can leave major stains on the furniture that might seem impossible to remove. Often, if the stains have been there for a long time, removing them can prove very difficult but not impossible. As long as a professional is called in for sofa, upholstery, or rug cleaning, getting rid of stains just might be a lot easier than initially thought. This even includes highly difficult to remove stains such as ones caused by grease, oils, or wine. * The color of the furniture can be returned back to its original glory. The look of upholstery can sometimes become dull and faded. The common assumption is the fading is permanent. That might not be true at all as a good cleaning could restore the color to the furniture allowing it to once again stand out in a nice way. * Dust and pet dander can be removed even if they are deep within the fibers of the upholstery. Dust can collect over time and a casual, cursory dusting is not going to be enough to get rid of it all. Pets might not mean to get dander into the fibers, but they do love to lay on sofas and upholstered chairs. When they do, they send a lot of dander into it. A good professional cleaning can help get all that out. * The air inside the interior becomes much better to breathe. Dust in the furniture also finds its way into the air, which means those inside the house end up breathing it in. Clearly, this is not a good thing for those worried about their health. Getting rid of dust through carpet, sofa, and curtains cleaning can definitely reduce the number of allergens and other impurities in the air of your home as well. Ensuring the air in a home is breathable is an unsung benefit of professional cleaning. * Bacteria and germs can be eliminated from the furniture. Even worse that dust and dander is the collection of germs and bacteria that can grow on furniture. A lot of health hazards can emerge when the bacteria grows on furniture. Professionally cleaning and disinfecting the furniture can eliminate the presence of troubling germs and bacteria. * You eliminate the need to buy new furniture. When your furniture starts to become old and worn out looking, you probably start thinking about buying new furniture. Purchasing new selections of furniture may not even be necessary. If the upholstery can be cleaned thoroughly, then all the lost luster can be restored. No need exists anymore to invest huge sums of money of costly new furniture. Sofa cleaning really can save a home or office’s budget. * The overall look, style, and mood of the interior all improve immensely. Improvements in the look of the furniture can have an outright ripple effect. Clean, new looking furniture can make a home or office appear very upbeat. Furniture and carpeting that have both been neglected and are in need of a good cleaning can actually make the interior look dreary, dull, and outright boring. Having upholstery cleaned can really make an interior look nice and eliminate taking unnecessary steps such as remodeling or hiring an interior decorator. * Even the most thorough cleaning job can be done quickly. A professional cleaning service is only going to employ and send those who have quite a bit of experience handling these types of tasks. Experience means efficiency and efficient workers can get the job done right and without cutting any corners. As a result, your upholstery can end up looking as good as new after a very short cleaning session. Making sure the rugs, carpets, curtains, and mattresses in a home are clean is definitely important. Equally important is to ensure the upholstery is cleaned. Really, thoroughly cleaned furniture helps ensure the interior of a home or office looks as best and as new as can be. 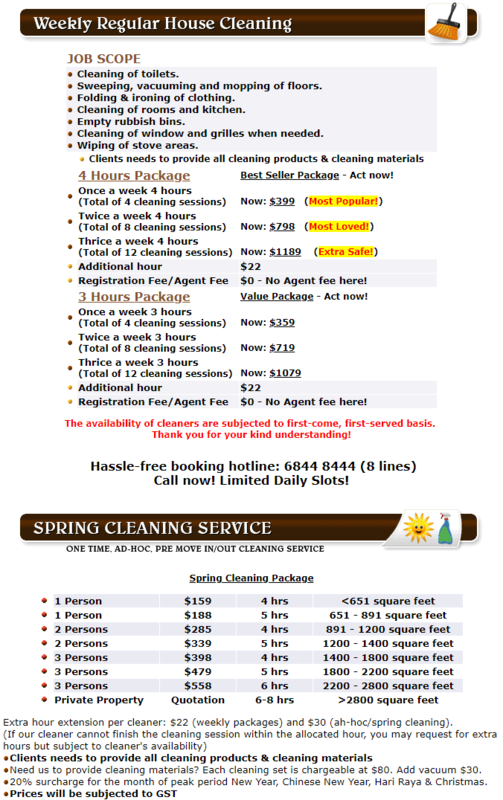 So, why not call a cleaning service today to start the process?